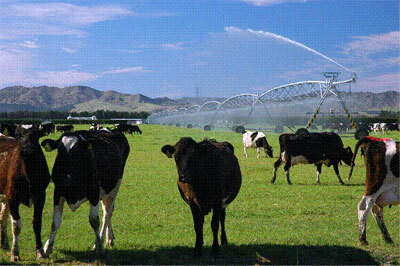 After the rains have removed the worry of irrigation restrictions, the situation on the farm would be “business as usual” if it were not for the increasing concerns around the mycoplasma bovis outbreaks. Despite reassurances from MPI that they are on top of things, rumours abound around where it stemmed from and, if they are to be half believed, the dairy industry has a problem for a while yet. Mike Peterson says North Island farmers won’t be buying South Island store cattle, sorry, it has already jumped the Strait. MPI have said part of the issue is the failure of farmers to keep good records of stock movements etc. While they may have some justification for this attitude, MPI need to review their operation. There are reports of farmers who received notifications prior to Christmas of having “at risk animals” due to coming into contact with contaminated farms and then these farms not hearing anything for over a month. In the meantime considerable traffic have been through these farms. To this end more rumours are that Ashburton has a third confirmed farm and there is now one confirmed in North Canterbury. On the production front Fonterra has reported a -5.5% drop in national production for December. Most of this drop has occurred in the North Island as the South Island is reported to have had a +1% lift from the period June to December. For the season a drop of -3% from last years figures is predicted.. This is what has driven the last GDT result but increasing volumes coming out of the US may put pressure on the upward trend. The next GDT auction is on February 6th, with the rising of the NZ$ against the US$ at the time of writing sitting on 74 US cent. This must be making it difficult for dairy prices not to be under pressure, even with hedging. The updated TPP is due to be signed on March 8th, but with the USA out the big benefits to dairy are lost. However Japan takes over $700 million (2015) of NZ dairy products and considerable phasing out of tariffs over the next 11 years are predicted. Likewise Mexico with exports valued at $285 million (2015) has a softening of quotas allowed in. What Canada has finally agreed to may be revealed soon but their stance is likely to be more market protection orientated and so may not help NZ dairy farmers. Was at a m bovis meeting last week. They said 5-7 farms (at that time) were dairy and all the rest were non dairy farms. So the majority, as at last week, were non dairy farms. There are some distraught large scale calf rearers out there. There are potential implications for the beef herd as well as dairy. Bulk milk testing rolls out in Southland/Otago this week and is able to pick up if 1 in 1000cows has it. It is a DNA based test which make is much more reliable than the blood tests available for the beef herds. Hats off to MPI scientists et al for devising this bulk milk test - the first in the world. Why are calf rearers distraught CO? I think it's because the way we rear calves wouldn't work with a disease like this. Calves would need to be isolated from each other. I still think we can manage it without to much change of existing systems. Calf rearer raises 1000 calves for a mix of dairy service bulls and beef/dairy crossbreds that they will finish. Buys 50% of calves from an infected dairy farm - but at the time of purchase m Bovis is unknown. Buys ALL their calf milk from said dairy farm and feeds it to all their calves. Due to feeding infected milk all calves are now infected with m bovis - it's the quickest way to spread the disease. Farm is placed in lockdown - no stock can be brought on the farm and stock off it can only go to works. Meanwhile calves are showing animal health issues. Farmer is spending very significant amounts of dollars on animal health, as one does. Meanwhile their R1 cattle are tested - positive. Any R1s destined to be sold as service bulls in the future are now only worth works price - almost nothing. MPI have a moratorium on compensation, so if farmer was happy to send all cattle to works they are worth nothing as there would be no compensation from MPI for lost income. Meanwhile they are racking up large vet bill keeping animals alive that are not well and not worth anything. If MPI decides to make compensation available again - they will get works price plus some income compensation so may get to keep their operation viable. But they have to wait for the final decision to be made. Meanwhile in some sections of their community they are treated as lepers. Beef and Lamb only seem to have offered absolute minimum/no assistance to their levy holders compared to what DairyNZ offer to affected dairy farmers. Yet more Beef & Lamb farms are affected than dairy. Some ag contractors have been told by their clients that if they do any ag work on an infected farm the client will not employ the contractors - even if they clean their gear after working on an infected farm. Some of the dairy farms graze off in the winter - they have been told by their graziers they won't take their stock so they are going to have to graze all stock at home - with all the consequences that is going to entail. Some people are quite paranoid about it all. MPI appear to be doing a good job given the resources - or lack of - that they have. Tracing beef cattle (calf) movements is not a priority so unless farmers contact all the farmers they have sold stock to privately there may be other non-dairy farms out there infected. And of course not all farmers sell privately so calves sold at saleyards from infected farms - whose calves were in pens next door and where did they go? You can kinda get the picture. On the bright side the bulk milk testing all southern dairy processors are undertaking this month will give a truer picture of the spread of it in dairy herds. Hopefully the Minister will then be able to make a decision if the horse has bolted or not and affected farmers will have some certainty of options. Ah yes. We do like to use our colostrum and antibiotic milk. It will make calf rearing a lot more expensive. Maybe just maybe the idiots will stop paying so much for the 4 day old calf in the first place.